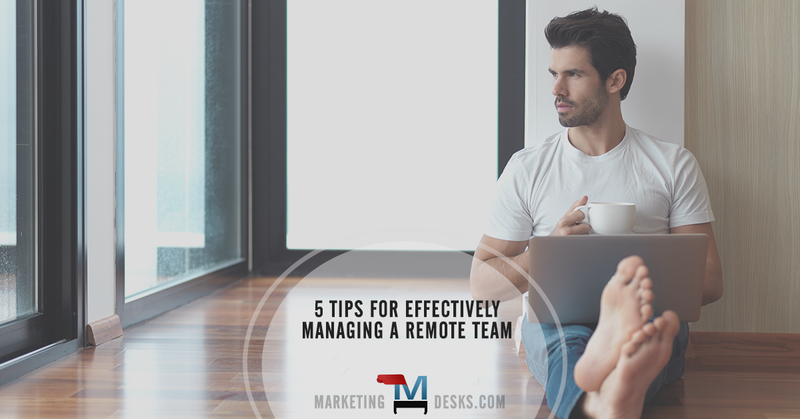 Managing a remote team effectively can be challenging, but letting workers work from home and work on their own terms could be the perk your employees want most. The use of remote workers has become increasingly popular over the last few years, including in the marketing field. Some marketing agencies have started letting their staff do more of their work from home, and there are others that have teams that never come to the office. Even with this growth and evidence in the form of success stories, some managers still question the wisdom of allowing marketing employees to work outside the office. They worry especially about the lack of oversight and the ability of their employees to stay on task. These are legitimate concerns, but they can be addressed by implementing the right type of values and culture in your remote team. Communication is the bedrock of any effective remote team, but that is just the beginning. For managers that are looking to build accountability and increase productivity in their remote workers, here are some of the steps that can help to ensure that the attempt is a success. A successful remote marketing team is going to have a culture of accountability. Employees should understand that the ability to work at home is a privilege, and with that privilege, they have certain obligations. If employees are going to be allowed to work from any location, you need to make it clear that they are just as responsible as they would be if they were in the office with you. This starts with the manager setting clear expectation concerning the responsibilities of the remote workers. Get everyone to set goals for their part in a campaign (i.e. create the copy for a Facebook ad) and establish a clear path for reaching those goals. When goals are clearly laid out from the beginning, employees can’t later pretend as if they did not understand their obligations. Be sure to provide rewards and recognition for employees when they do well, which will help to enhance their feelings of accomplishment when they achieve an objective. Trust is an important part of any healthy team environment. 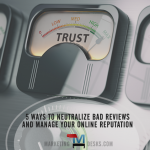 Not only do you have to grant trust to your remote marketing workers, but they also need to be able to trust each other and you. Demonstrate this trust by being open with your employees. Tell people that you expect them to meet their obligations, but that they should seek help when they have a problem. You don’t want your remote team to feel like they might get criticized or face discipline for being honest. Problems can arise in any workplace, whether the team is in the office or not. You want your team to feel comfortable sharing these issues with you so that you can solve these problems before they impact the success of a marketing campaign. Your remote workers are going to have to be their own managers to some degree. They must manage their own time, avoid distraction, and stay on task – even when there is no authority figure in the workplace. The success of a remote marketer depends on their ability to self-prioritize the tasks associated with the overall marketing strategy. 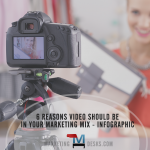 For example, if they’re in charge of the content portion of a digital marketing strategy, they need to manage responsibilities ranging from email to blog to social media. In forming your remote team, you will find that some people take to autonomous work easily. However, there are some people that may want to manage their tasks better, but they just lack the skills. If you want these employees to succeed in a remote work atmosphere, then it is up to you to promote the skills that lead to effective self-management. One of the benefits of remote work is that it provides employees with freedom. They can work in an environment in which they are more comfortable, and work on their own terms to help you achieve marketing goals. This freedom can promote creativity, which can boost the performance of a campaign. The downside is that it limits the opportunities for communication. With communication being such an important part of building a remote marketing team, you must be purposeful and consistent to ensure you stay in contact with your employees. Schedule weekly check-ins with the team and ask for regular updates. Get your employees to talk about their successes and encourage them to share information that could be helpful to the team. With the loss of the face-to-face conversations and shared workspaces, you need to make some effort to add a human touch to communications. Encourage employees to express their joy when things are going well with a campaign. Share your happiness when you feel like your team is doing well. Along with that, you can also talk about some of the struggles that you and your employees face. Keeping an open dialogue during both the good and bad times at work will make a remote team more cohesive, engaged, and productive. Remote work isn’t just for the benefit of the employee – it can also be to the benefit of the company. When the team is managed effectively, it can be a great way to increase productivity and it can also make for a team that is more engaged and invested in their work.